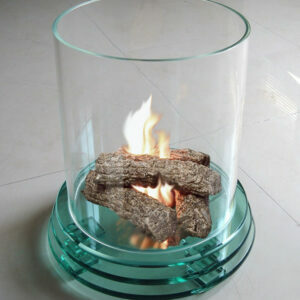 The Firenze glass fireplace makes a great addition to any room. 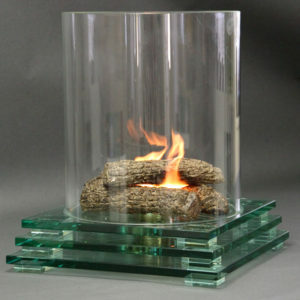 You will love the ambiance it creates. 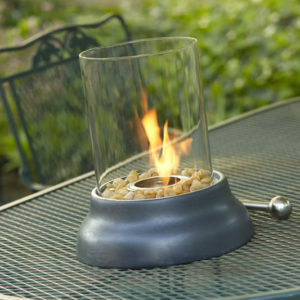 This fireplace will become a gathering spot wherever you use it…indoors or outdoors! No need to plug it in. 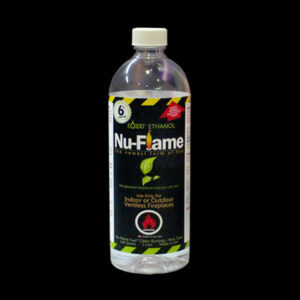 Simply place the fuel into the fuelcup and enjoy it for hours! 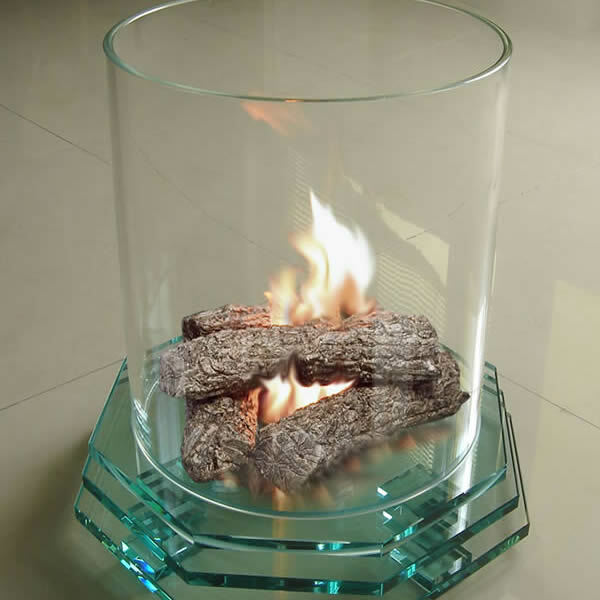 Fireplace includes: One base, One cylinder, Six Firenze logs and One Fuel cup. Fuel sold separately. Cylinder Measures 12 1/4″ in Diameter x 13 3/4″H. Base Measures 15L x 15D x 3 1/2H. Total Height is approx 17 1/4″H.